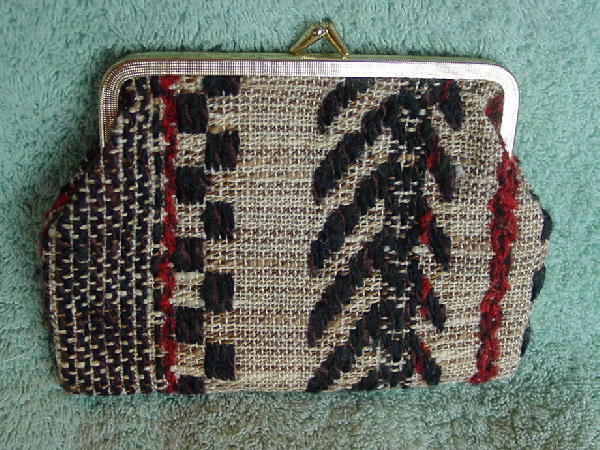 This never used yarn and thread woven clutch has a gold-tone rim and bypass closure. It has a net-like lining. The exterior is in medium and dark brown, orange and bone yarn, and offwhite thread.